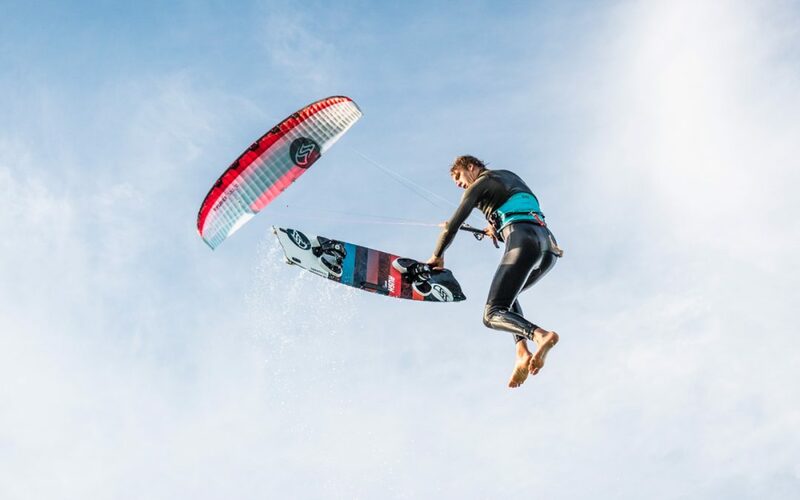 “It was the most massive jump I’ve ever tried.” Says seven times U-21 World Champion and Double Vice World Champion; FLYSURFER Kiteboarding Athlete Olly Bridge risks everything in this extremely dangerous jump. Last Sunday morning, in ideal conditions, Olly Bridge jumps off the Exe estuary and flies 12-15m high, travelling a distance of over 200m through the air, jumping over a large spit into the English Channel. Olly, 21 years old, has been waiting since the fall for optimum tide and wind conditions to jump from the Exe estuary in Devon, England, to the open sea. The strong winds combined with his FLYSURFER Kiteboarding SOUL 8.0m closed-cell foilkite, and RUSH 140cm kiteboard, carried him safely over the spit, a jump that Olly considers to be the first of its kind. Watch the nerve-racking jump here in the video. “I’m so stoked!” Olly’s enthusiasm is noticeable when land he cleanly lands the epic jump. from 26:26 onwards, have fun listening.